The TheraMind® Center of Vernon Hills provides state-of-the-art outpatient neuropsychological treatment services including Transcranial Magnetic Stimulation (TMS) therapy. 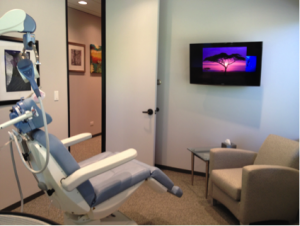 The Center features two Neurostar™ TMS Therapy System treatment rooms, a TMS therapy suite employing the MagVenture MagPro System, a conference room, and a visiting mental health professional office. We have successfully treated patients suffering from Major Depressive Disorder (MDD), Anxiety Disorder, Eating Disorders, stroke related aphasia, and other mood disorders. In addition to offering TMS Therapy and HBOT, our corporate office in Vernon Hills offers TMS consultations, individualized insurance assistance and coordinates TheraMind Services’ participation in non-profit events to benefit mental health. Our Center works with prescribing physicians to design a treatment program tailored to the individual needs of each patient. Under the supervision of our Chief Medical Officer and Medical Directors, our TMS Specialists provide a safe, non-invasive and effective outpatient procedure that has helped thousands of patients who have not responded well to drug therapy. 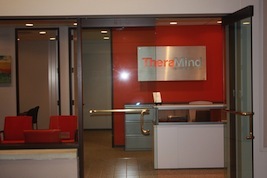 TheraMind® Center of Vernon Hills is under the Medical Direction of Drs. James Marks and Stephen Galston, conveniently located off I-94 and supports patients who live or work in the greater Lake County area, Northern Illinois, and Wisconsin. Dr. Marks is a partner with Neuropsychiatric Associates of Illinois and has been in practice there since completing Residency training in 1992. He has been certified by the American Board of Psychiatry and Neurology in Psychiatry since 1993. Dr. Marks earned his Bachelor’s and Master’s degrees in Biology at the University of Illinois, Urbana-Champaign, and went on to complete his M.D. at the University of Illinois-Chicago in 1988. He completed Residency in Psychiatry at Lutheran General Hospital, Park Ridge, Illinois in 1992, serving as Chief Resident during his final year of training. Dr. Galston is president of Neuropsychiatric Associates of Illinois, a psychiatric private practice group in Northern Illinois. He also is the Medical Director of the Eating Disorder Program of Highland Park Hospital and the Medical Director of the Adult Partial Hospitalization Program at Highland Park Hospital. He did his undergraduate training at Washington University in St. Louis where he was Phi Beta Kappa. Dr. Galston is a graduate of Chicago Medical School and did his psychiatric training at Northwestern Memorial Hospital. He currently is an instructor at both Northwestern University and The University of Chicago Schools of Medicine, and is Board certified in both Adult and Adolescent Psychiatry. Dr. Galston specializes in all areas of adolescent and adult psychiatry, with special interests in depression, eating disorders, ADHD, bipolar disorder, and anxiety. He has lectured throughout the Chicago area on the treatment of eating disorders and psychopharmacology. Our independent, state-of-the-art, neuropsychiatric service centers are dedicated to offering all mental health professionals, referring medical doctors and their patients one of the most advanced options for treating Major Depressive Disorder, Postpartum Depression, anxiety disorders including OCD, PTSD, General Anxiety Disorder and other mood disorders. Many of our Centers also treat a broad range of neurological disorders including Migraines, Chronic Pain, Fibromyalgia, Tinnitus, Concussion and TBI and Stroke related disorders. To learn more about the disorders we treat here at TheraMind® Center of Vernon Hills, visit our Treated Disorders section of our site or call us today at (847) 562-5868.